Big news from Texas: Adam Carolla has settled with the podcasting patent troll Personal Audio. Although the settlement is confidential, we can guess the terms. This is because Personal Audio sent out a press release last month saying it was willing to walk away from its suit with Carolla. So we can assume that Carolla did not pay Personal Audio a penny. We can also assume that, in exchange, Carolla has given up the opportunity to challenge the patent and the chance to get his attorney’s fees. EFF’s own challenge to Personal Audio’s patent is on a separate track and will continue. Our case is before the Patent Trial and Appeal Board at the Patent Office. We are on schedule for a hearing in December with a ruling likely by April 2015. Carolla’s settlement does not impact our case. Carolla and Personal Audio have agreed to a “quiet period” where they won’t make any public statements about the settlement before September 30, 2014. Not coincidentally, Personal Audio is still scheduled to go to trial against a number of television companies (NBC, CBS, and Fox) in September. 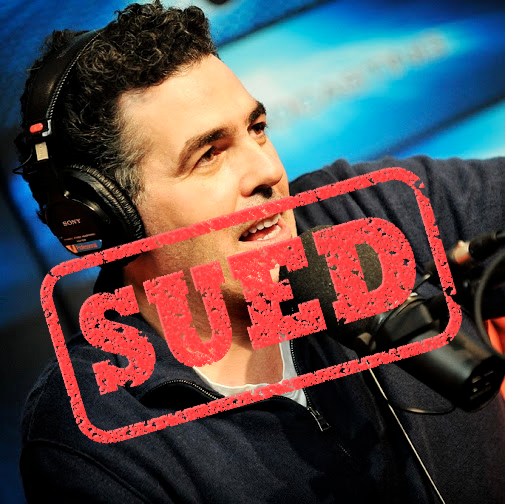 Since Carolla is muzzled, we’ll do our best to explain the significance of the settlement. In short, it’s a mixed result. Carolla, his team, and everyone who donated in support deserves massive credit for putting up such a strong fight. The podcasting community showed that it would not be shaken down. Patent litigation is very expensive and most troll targets settle early just to avoid the cost of defense. By fighting back, Carolla forced Personal Audio to actually mount a case and establish that it deserved money. That turned out to be too hard for the troll. By forcing Personal Audio to prove that it suffered damages, Carolla made it confront the fact that podcasting generates little revenue (for people that claim to have ‘invented’ podcasting, Personal Audio appears not to have understood the industry at all). Carolla is the one of the most successful podcasters in the business. If suing him makes no economic sense, then it makes no sense to sue any podcaster. We hope that Personal Audio’s public statements on this issue mean that it has truly abandoned threatening and suing podcasters. Though a press release might not be legally binding, the company will have a hard time justifying any further litigation (or threats of litigation) against podcasters. Any future targets can point to this statement. Carolla deserves recognition for getting this result. For now, the television companies are still in the case and are headed to trial in September. If they don’t settle, and they win on invalidity, then they would also defeat Personal Audio for the entire public. And EFF’s challenge at the Patent Office will continue. So Personal Audio’s claim to own podcasting is not necessarily saved by this settlement. Trolls know this and use the cost of defense to extort settlements. In the rare case where someone shows a willingness to fight to the end, the troll will often save its patent at the last moment with a walk-away deal. This is likely what happened in Carolla’s case. It is also what happened when infamous patent troll Lodsys settled for nothing with Kaspersky Lab to avoid trial. Overall, while some aspects of the settlement are disappointing, we think Carolla did a service to the podcasting community by fighting back. We hope that his example will protect smaller podcasters from further attacks from this troll.